Relentless US comedy South Park returns for its 20th season on SBS 2 later this month. The 10 part series will air a week after its US debut. 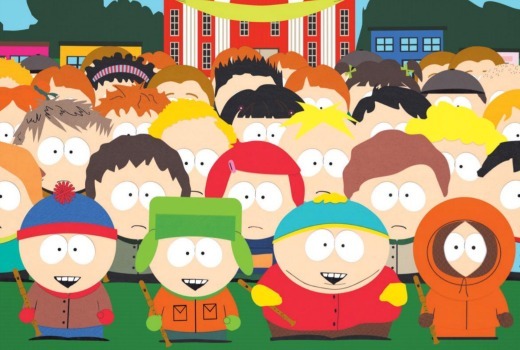 To celebrate 20 huge years of everyone’s animated favourite, South Park, take a peek into the production process of the American adult sitcom. Directed by Arthur Bradford, it follows the show’s hectic, rushed six-day production schedule, in which a 22-minute episode is complete just hours before its original air date. It’s an animated series that isn’t for children. In fact, its goal seems to be to offend as many as possible as it presents the misadventures of four irreverent grade-schoolers in the quiet, dysfunctional town of South Park, Colorado. Stan, Cartman, Eric and Kenny are back for a brand new 20th season, and more bizarre adventures – all equally dark, controversial and extremely hilarious and fast-tracked from the US. Excellent and I can wait a week for it, much better having an uncensored version too watch than the one that airs in the US with bleeps. Season 19 was great, a big lift in quality over the past few seasons. Looking forward to season 20, just a shame they are getting shorter each year. And I agree with @pahmer, Six Days to Air was great, it’s amazing what is done in such a short time. I can’t wait! The episode Bloody Mary is on SBS2 this evening. Has this been shown on free to air before?